In October 2017, I set off to the high north of Sweden with Alice, my 6 year old daughter and travel companion. 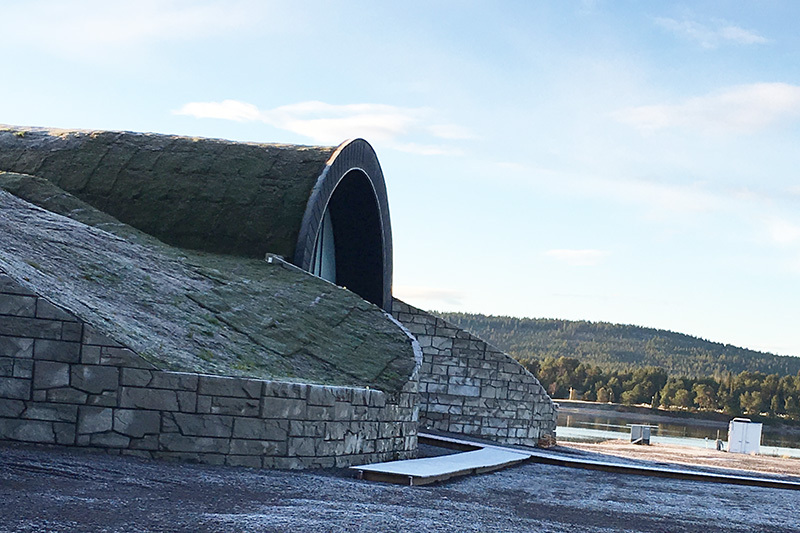 Our aim was to experience Swedish Lapland in all its autumnal glory and experience the new extension of ICEHOTEL - its 365 version, now open all year round. 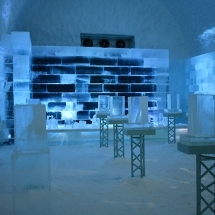 The ICEHOTEL attracts guests almost to capacity from mid-December to April each year. This busy period of around five months brings in seasonal staff for the winter and creates just a handful of year-round jobs. Part of the aim of 365 is to sustain more permanent jobs and less seasonal staff. To do that, they knew that they had to create something worth travelling to, high above the Arctic Circle. And it was worth the journey as we found. 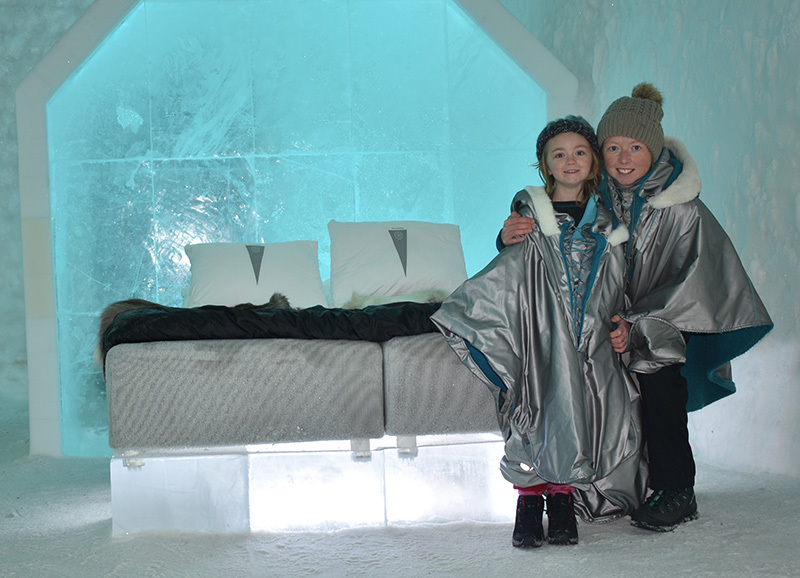 There’s now a permanent turf-topped building powered by solar energy which houses the 11 suites of the ICEHOTEL 365. The exterior of the building could have easily resembled the outside of a gigantic refrigerator simultaneously ruining the dream of the ICEHOTEL has spent years creating. 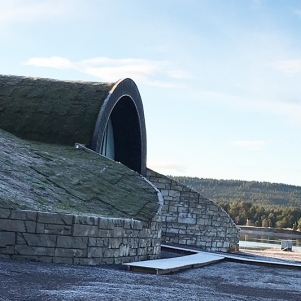 Instead, they’ve built a permanent turf-topped building reminiscent of a Viking Long House with arches hiding the suites and icebar below. There’s a long walk way to the entrance which builds the anticipation further and once through the front doors you’ll leave the current season behind and enter a permanent winter. There’s something very Narnia about that, even more so than perhaps a winter visit where snow and ice abounds outside and in. At the entrance, the iconic ICEHOTEL winter cloaks are distributed by the animated host, who was brimming with excitement to show us the latest version of ICEHOTEL 365. The hotel is only permanent in so far as the outer shell. The ice and snow sculptures, the ICEBAR and suites, are in a state of flux, being renewed as often as the winter ICEHOTEL. Each room houses a work of art. But in this art gallery you get a glimpse behind the scenes as there is likely to be at least one of the rooms under construction. And what an experience that is for a six year old (my daughter was wide-eyed with excitement by this point) to see an artist carving ice and building something spectacular. In this case, the artist was putting the finishing touches onto a room called ‘Danger Thin Ice’ which had an incredible bridge leading to the double bed on the other side of the room. Moving from room to room admiring each space and level of creativity unfolded like a dream. 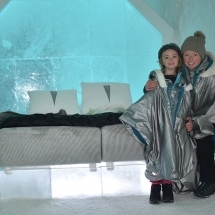 The ICEHOTEL has achieved the same status as some of the world’s most prestigious art galleries attracting talent from around the globe to carve their imaginations and stories out of ice. The tour ended at our room, “Blue Houses” where we stayed overnight admiring the skill of the artists who created the blue carvings of house outlines. Closing the door behind us, we were on our own. 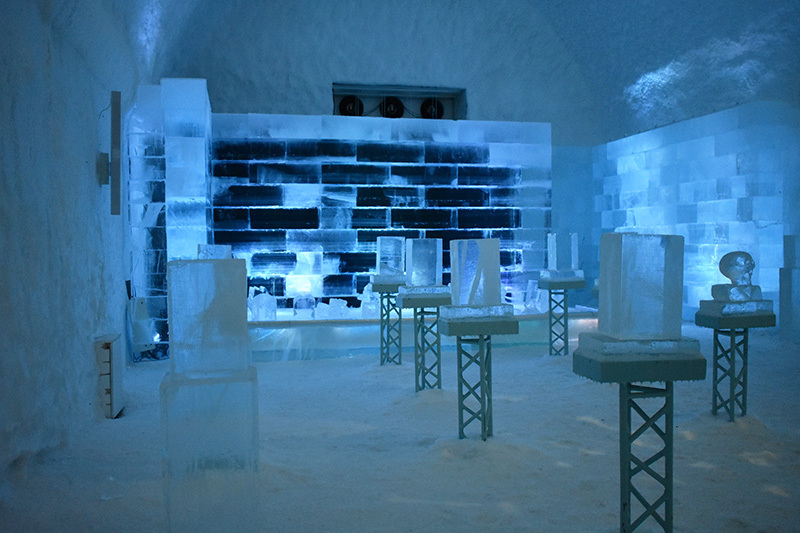 There’s nothing quite like the acoustics of a room created with ice. 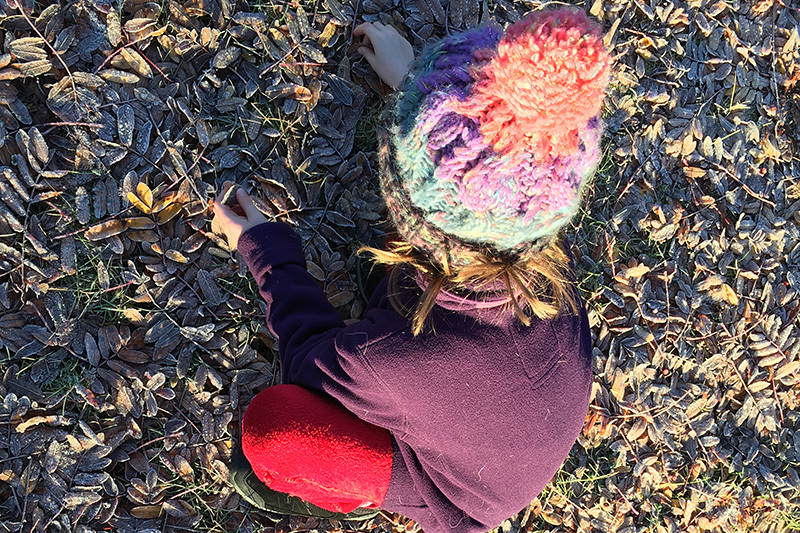 Sound is dampened (yes even the sound of an over-excited six year old) and the best night of uninterrupted sleep awaits so long as you hide in your thick winter sleeping bag and hat. 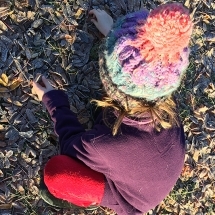 My daughter could do this for a few hours, but then starting fidgeting her way out of the sleeping bag and hat until she was in danger of freezing in the minus 5 degree room. We had no choice but to decamp into the warm part of our room (all the deluxe suites come with an luxurious warm section). Here we slept until morning when our cup of juice was handed to us and we followed up with a warming sauna. Just like winter ICEHOTEL. When we come out of the sliding reindeer hide covered doors into the icebar and outside into the morning air, Autumn had returned with its beautiful colours and frost covered ground. 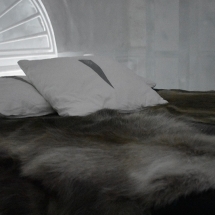 The ICEHOTEL 365 is both a place for winter lovers who miss the cold - the real cold. And for winter shirkers who’ll take a small slice of real cold but just for the night. Then they can return to the warmer temperatures outside, whether it’s in summer or Fall. As a bonus, we were treated to a wonderful show of the Northern Lights during our wilderness dinner the previous evening. It’s possible to view the Aurora between end of August and beginning of April. Not only can you stay in cold suites, but you can also enjoy a huge variety of activities in summer and autumn including ice-sculpting, photography, fishing, rafting and hiking. 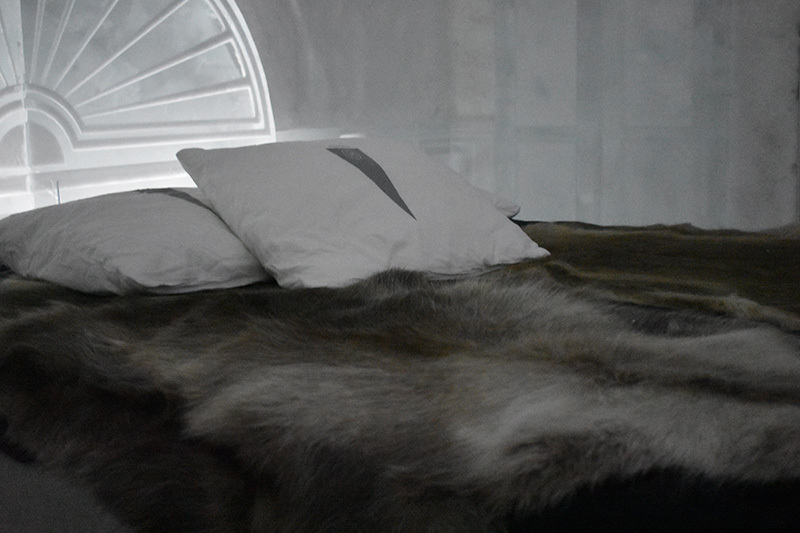 If you’d like to visit ICEHOTEL 365 and Swedish Lapland in summer or autumn, our team can put together a trip for you. Read more about our Autumn holiday at the Treehotel, Camp Ripan and ICEHOTEL here.